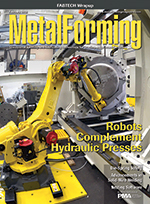 Metalforming companies anticipate steady business conditions during the next three months, according to the February 2018 Precision Metalforming Association (PMA) Business Conditions Report. The report, an economic indicator for manufacturing, reflects the views of 116 metalforming companies in the United States and Canada. The February report shows that 48 percent of participants forecast an improvement in economic activity during the next three months; another 49 percent expect no change; and only 3 percent believe that economic activity will decline. "The Trump administration has shown strong leadership on important policy initiatives like tax reform and infrastructure, which give confidence to U.S. manufacturers," says PMA President Roy Hardy. "The administration should continue its support for domestic manufacturing by resisting calls to place restrictions on steel imports, a move that would limit American manufacturers' ability to make value-added products here at home and undermine our competitiveness around the world." Getting started with metal 3D printering can seem daunting, but it doesn't have to be. We've simplified the process to help you easily and affordably manufacture complex, custom metal parts with geometries that traditional manufacturing methods are unable to produce. Join us for a live webinar to see how metal 3D printing from Markforged will revolutionize the way you produce metal parts – faster, easier and less expensive than ever before. Clemson University, in partnership with Greenville Technical College, has announced the opening of the Clemson University Vehicle Assembly Center. The 4000-sq.-ft research and development facility is part of Clemson's International Center for Automotive Research and is located in Greenville Tech's Center for Manufacturing Innovation, Greenville, SC. It features a vehicle-assembly line, joining lab, subassembly lab, embedded-devices lab and collaborative-robotics center. "We are embarking on a new model where academia and industry can drive compelling research while simultaneously defining a new education paradigm as students at the graduate, undergraduate, and technical college levels collaborate on full-scale manufacturing projects and fortify each other's learning," says Laine Mears, BMW Vehicle Assembly Center director and BMW SmartState chair at Clemson. Reduce Cost and Lead Time Associated with Fixture Design and Build is a 19-page white paper that discusses applications that make the best fit for using 3D-printed jigs and fixtures and best practices for designing 3D-printed fixtures. To download, visit www.metalformingmagazine.com/cpl/FormLabs.asp. 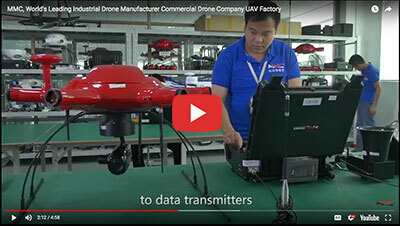 If you want to know more about how drones are manufactured and what they're being used for, check out this video about MMN, a leading drone manufacturer headquartered in Shenzhen, China. Here's a deep-dive into the fundamentals of light-curtain technology, along with tips for its application in the pressroom. 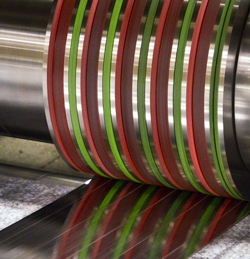 Upgrades at two European manufacturers improve run times, reduce waste and increase efficiencies. See also: Markforged, Industrial Magnetics, Inc., Heyco Metals, Inc.